7 Kids and Us: New Offer! Get a Santoku Cooking Knife For $3 SHIPPED! New Offer! 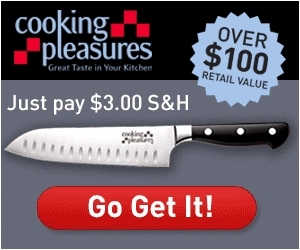 Get a Santoku Cooking Knife For $3 SHIPPED!